For Oasis, leadership in organisations is the on-going evolution of hard-won learning and experience in multi-disciplinary settings, deep culture change and relational practice, with people committed to meaningful action. It’s the journey of sustained research by our facilitators, learning through leading edge ideas, applying human relations approaches with social enterprise, responsible business, international business schools and a myriad of organisations across a range of sectors. It’s 25 years of developing over 20,000 people across organisations and cultures to make a difference, and 10 years of partnering with international business schools and global companies, as well as facilitating the UN/EFMD Globally Responsible Leadership Initiative. 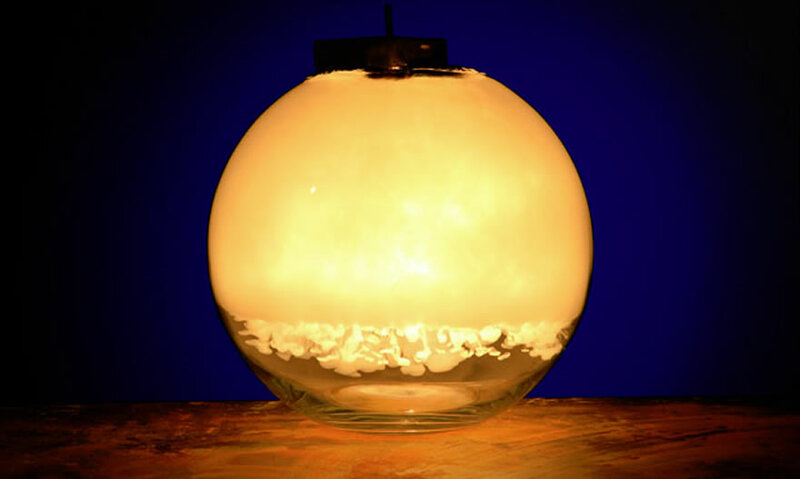 Our views often contradict much of the conventional wisdom about leadership and human nature. Our work is intended as a guidepost and challenge to all those engaged in the intensely personal and important endeavour we call leadership, life and learning. We have distilled the core of leaderful behaviours and practice for the future into a developmental model and applied framework for developing the relationship skills crucial for effective working within and across boundaries. Whilst we bring such approaches into our organisational development work, we support and challenge individuals to be able to develop the necessary relational practices that are essential for leadership. Resilience in organisations matters, and it doesn’t matter whether you have ‘leader’ in your job title or not, the skills are needed by everybody. Being a leader in the 21st century means knowing when to take the initiative and shape direction for others, and how to find ways to invite and enable the best in them. In 2018 we are launching our Real Leaders programme, an up close and personal approach to responsible leadership. It’s an intensive year-long programme that takes you to a whole new level – where powerful relational leadership is at the heart of making things happen. It’s based on our years of research into the requirements of the workplace of tomorrow and experience delivering leadership programmes to thousands of people. 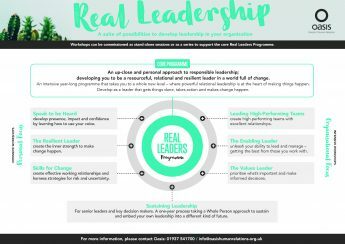 Backed up with a suite of intensive workshops that can be commissioned in your organisation to develop a focus on a particular area of leadership, the Real Leaders programme is for emerging leaders and rising stars. For more experienced senior leaders and key decision makers, we offer Sustaining Leadership, a one-year Whole Person approach to help you lead your organisation into a different kind of future. Give us a call on 01937 541700 or email us to arrange an appointment to discuss your needs.